We got this blog post from a friend of Team Gleason, Melanie Roach-Bekos, Executive Director of The ALS Association-Wisconsin Chapter. As with most kids, my father was my hero. He grew up as an only child to my grandparents Guido and Elda Eutizzi. My grandparents were born in Italy and came to America when they were very young. Their parents settled in a small community called iron Mountain in the Upper Peninsula of Michigan. My grandmother’s parents made a living as a seamstress and a cobbler. Most of the Italian immigrants worked in the iron mines. My father spent time in the Navy and after a degree from Michigan Tech he began his career with Coca-Cola as a sales representative. As a confirmed bachelor living in Green Bay, he happened to meet my mother a widower with four small children under the age of eight. Most men would’ve run but not my father. After marrying my mother they eventually had two more children my sister, Julie and me. From the age of 6 until 16, I spent time in iron Mountain with my grandparents every summer, sometimes as long as a month. To this day they are still some of the best memories of my childhood. My grandfather taught me how to fish, play cribbage, bowl, and golf. My grandfather also made homemade red wine, Italian sausage, homemade Italian pasta and sauce, and had a garden we could live off all summer. Needless to say, I was very close with my grandparents. In the summer of 1970, my father’s cousin and aunt visited our home. What made it special is that they came from Italy where my cousin was in the priesthood. I remember him standing in our front yard blessing our home and a lot of Italian was spoken as they did not speak a word of English. It wasn’t long after this that I remember my father saying he would like to go visit Italy to see where his parents came from. Unfortunately, that dream would never happen. When my father was about 40 he started to have strange neurological symptoms that in time affected all the muscles in his body. When I graduated from college I realized that financially this trip would never materialize for my father and I made him a promise that once I got a good job, I would take him to Italy. Unfortunately by the time I wanted to do this, his mobility had gotten to the point where Italy was just not going to be functional. I promised my father before he passed away that one day I would make that trip to Italy for him. Having four children myself I figured I had plenty of time to make this dream a reality. But like my father, a medical situation and the eventual diagnosis of ALS has not put time on my side. Right now my legs have not been affected that much from the progression of ALS. But I also know that that could change any day. So rather than waiting until retirement, I must find a way to make my father’s dream a reality. This year, I contacted my father’s cousin who lives in Sigillo, Italy. He remembered visiting our home and would be able to introduce me to the family members living in the village to make this dream a reality. I would also love to visit Venice and Rome as part of my trip to my grandparent’s homeland. If this dream were to become a reality, my younger sister, Julie has agreed to make this trip with me to help me get around. That way we can both discover our heritage and live out the dream my father was never able to see. We were all floored and wanted to help make this dream become a reality. And. Because of the money raised for The Gleason Initiative Foundation, we were able to make this happen! See below for the suprise phone call from Steve and Michel to Jim and his wife. 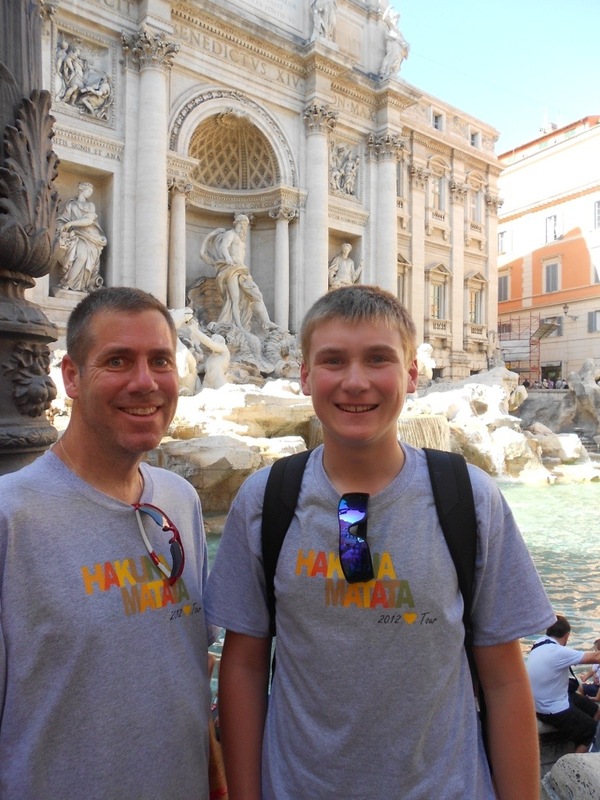 Team Gleason sent Jim and his son Jake to Italy, with a special request from Steve… to partake in a couple of adventures while they were there. 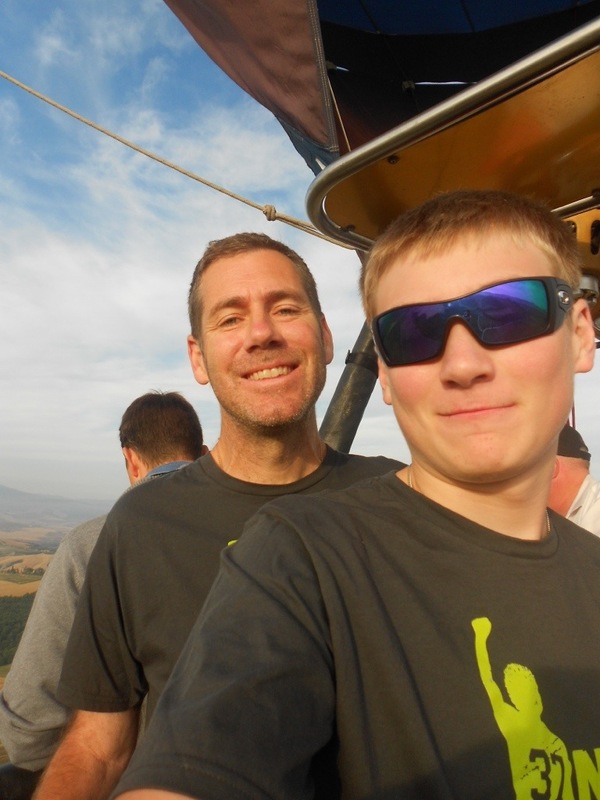 From hot air balloon rides to white water rafting to visiting relatives in his fathers home town, Jim and Jake had an excellent adventure and Steve was super stoked about it. After the trip Jim and Melanie flew down to New Orleans to meet the team, and it was an emotional and uplifting few hours. 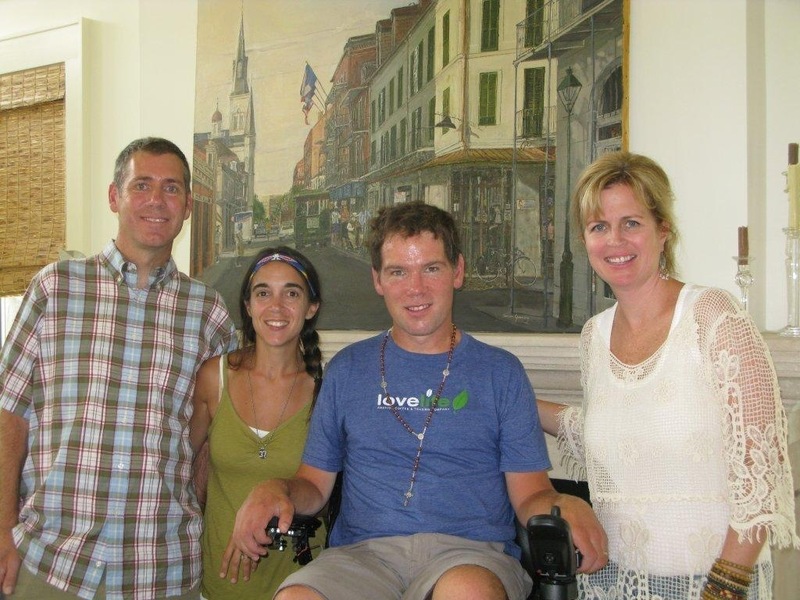 The whole team fell in love with Jim and were even more determined to help others with ALS. Below are a couple more blog posts. You can read about the whole trip on the blog link on the bottom of this page. After 10 hours of flying, the plane finally touched down in Rome Italy. It was starting to sink in that this was no longer a dream but reality. It was 1987 when I promised to bring my dad here, and 25 years later I had made it with my own son. But still, it had not completely sunk in. Jacob and I spent the first three days touring Rome and all its history. Then we were on the train headed to Sigillo in Umbria. I had no idea what to expect but I always had my own vision of what this town would look like. When I stepped off the train emotions filled my heart and tears filled my eyes. I had done it. With the help of so many wonderful people I overcame the barriers that seemed to want to stop this dream from happening. But here I was walking in my father’s footsteps with my own son beside me. I totally felt my father’s presence and could see his smile in my heart. What I saw was even more beautiful than I envisioned. A small village of about 2500 people in the mountainside of Italy. I sat down in a chair looking out the window of my hotel room thinking how wonderful it would’ve been for my father to make this trip. Over the next three days I would meet Eutizzi family members I never knew existed and discover the heritage of my father. The beauty that is Italy was all right here in Sigillo. It was the landscape, people, food, lifestyle, history, and traditions that are a big part of Italy. My cousins shared with me ten generations of Eutizzi’s going back to the 1700s. I sat in the room where my grandfather was born and a home that had been in our family for almost 200 years. The only bad part was having to say goodbye. This part of the dream had come to an end and I was filled with many emotions. But now that a connection had been made it was up to me and eventually my children continue the correspondence and return once again to our roots. I learned so much during this trip, even to speak some Italian. But mainly I learned there is a whole lot to be discovered in our lives if we do some digging. As excited as I was to meet family in Italy, they were just as excited to meet Jacob and myself and learn all about our family in America. Chances are most of us have a family history with the story to be uncovered and told. If you haven’t taken the time to do the digging, I am proof of how rewarding it can be. Thanks to the Gleason Foundation for making this dream a reality, and to those individuals who assisted in making it happen. I have 10 hours of video and 400 pictures to relive this adventure over and over. When you hear the phrase “Who Dat” there is only one image that can come through your head and that is the New Orleans Saints. That phrase has become synonymous with that team and all their fans. As many of you know I was born in Green Bay so I bleed the green and gold of the Green Bay Packers. I guess you could say I became somewhat of a Saints fan after they beat the Minnesota Vikings and Brett Favre in the playoffs a few years back. But now I am even a bigger fan because of one man who has made a profound impact on my life. 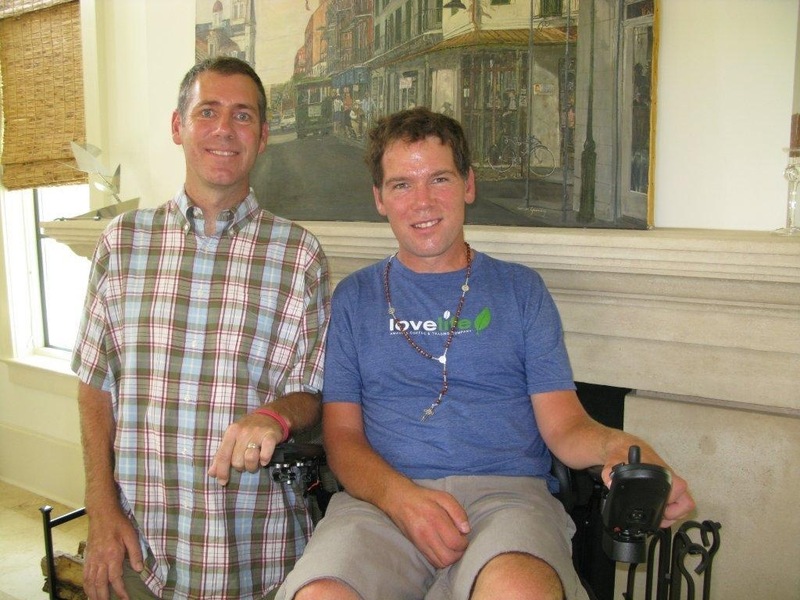 That man is former New Orleans Saints player Steve Gleason. Like me, he is battling ALS but doing it in a way that should inspire everyone no matter how big a challenge that might face them. Our journeys crossed paths this spring when I received a call from Steve and his wife Michel informing me that they were going to provide me the ability to fulfill a dream with an adventurous trip to Italy. If you read my earlier blog you know just how much that adventure meant to me, my son, and all those who are part of my extended family. Things like that don’t happen without special people making it happen. 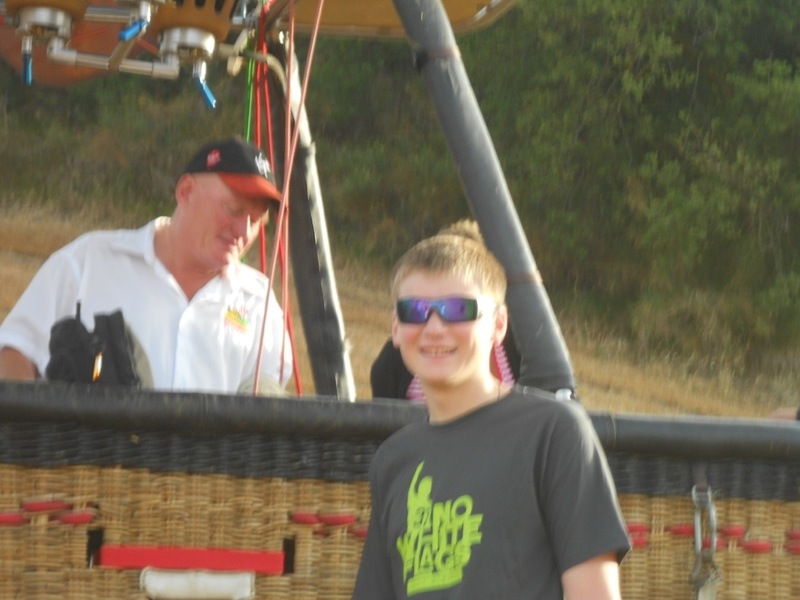 I was fortunate enough to fly down this past week to meet and thank Steve and Michel for what they did for me. What I did not know is that I was going to meet what I call the “Who Dat Team” better-known as the individuals who make Team Gleason function. I sat next to Steve and listened to him, his wife, his father-in-law Paul, and the dozen or so individuals discuss all that is happening with his foundation. It was awe-inspiring to hear the creativity and dedication that this group has to take a vision and make it a reality. The impact that Team Gleason has made, is making, and will make in the future for the ALS community is astounding. Now I know why he was such a revered teammate on the football field because I would go to battle with him any day of the week. Although never a professional athlete, I can imagine the desire, dedication, and effort it takes to succeed at that level and that same attitude was on display by the Who Dat Team. 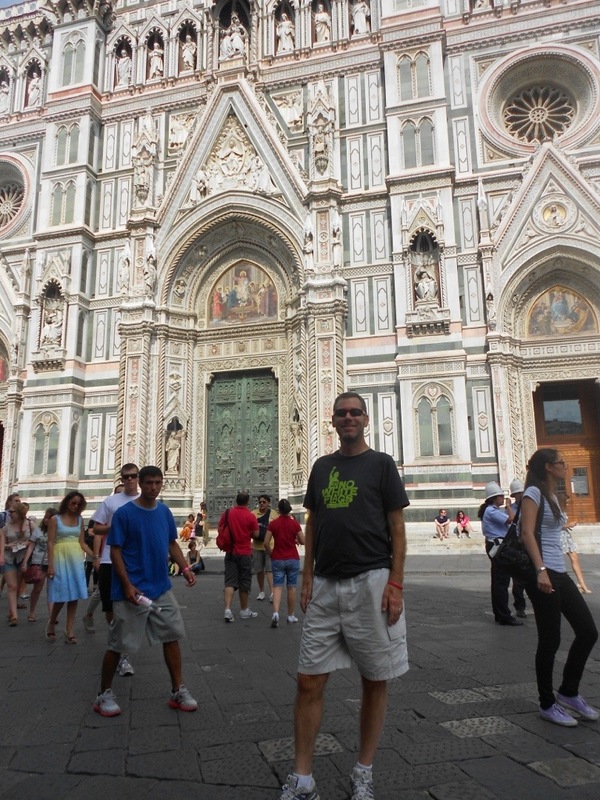 My trip to Italy was not only a dream come true, but to quote Steve, it was an “awakening” as I realized there is still plenty to do in this lifetime if I focus on what I can do rather than what I can’t do. I went to New Orleans to say thank you and provide some closure to a personal event but I left with much more. I realized not only wasn’t there closure there is so much more I can and want to do to help Team Gleason and their cause. You could feel the love for Steve in that room, and by the time I left, I embarrassingly felt that same love for me. But an even greater gift was the fact that I was flying home realizing I could call Steve and Michel my friends. And when I live by faith, family, and friends, you can understand what it means to me to know they are part of my team. We are all in this together, and I will do my part to help make Steve’s vision a reality in Wisconsin or wherever my journey leads me.